Pretty good match. Lana came out in the middle of it to provide a bit of a distraction for Brie, but she didn’t really get involved at all. The match was fine, but nothing terribly special. The Social Outcasts are in the ring. Adam Rose starts to say everyone’s nicknames, but Axel gets angry and says they need to be serious; They’re facing Ryback. They all start doing some sort of chop in the ring. It wasn’t quite a squash, but it was close. A quick but fun match. It was Lucha Dragons doing what they do best. 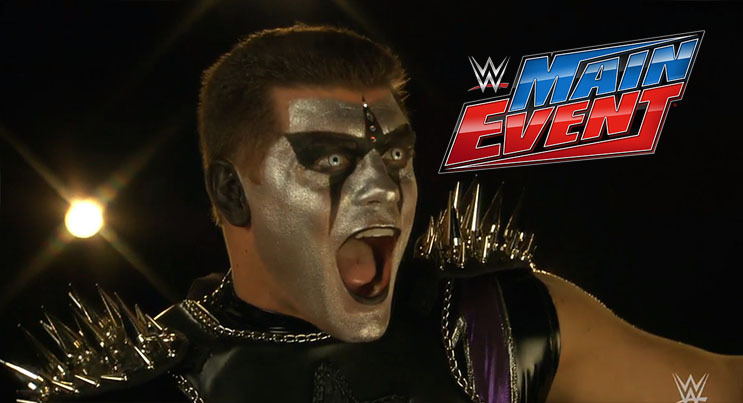 Stardust says that Zachariah Ryder will fall before Stardust. Very good match! Nice counters, a few believable near falls, and good momentum shifts. The matches are fine, but the main event is definitely worth watching. Easily the best match of the night. It was the most competitive and had the best action by far.